In 2009, Paralegal Consultants was formed by Valerie Nowottnick, ACP, to provide professional paralegal and litigation support services to area attorneys. 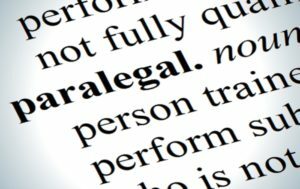 Since its inception, Paralegal Consultants has grown into a multi-faceted consulting business with a stellar reputation in the legal community. In today’s tough economic climate, it is imperative that everyone, most especially small business owners, find ways in which to cut their costs of doing business. These cost saving measures may come in the form of the attorney spending critical billable hours in the law library doing legal research. In other instances, the attorney may be trying to balance office management and administrative tasks while also trying to manage client matters. Attorneys take note: your career is in jeopardy if either of the above described scenarios matches your current circumstances. As we all know, the commitment to hiring an employee is an expensive one. Furthermore, you spend at least 3-6 months, or longer, training the person on your office procedures, file management styles, learning your clients, and many other aspects of your practice. This can be a very costly and time-consuming undertaking, especially for the solo practitioner who has little time for anything except practicing law. By contracting paralegal services, you avoid all of the costs associated with hiring a full, or even part-time, employee. More importantly, you can take advantage of the technology available without having to purchase it for yourself. We are constantly updating our technology to better assist our clients. 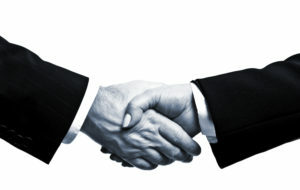 When you contract with us, you and your clients, receive the benefit of that technology. Our business model is built upon offering assistance when needed. Thus, there are no minimum or maximum billing hours required to retain our services. Some of our clients contact us once a year – others utilize our services for 20+ hours per week. We pride ourselves on being available to our clients at all times. Once you sign our retention documents, we are “on-call” for you from that point forward. We encourage you to review all of the services provided by our firm. If you have any questions, please do not hesitate to contact Valerie Nowottnick at (443) 968-8905, or by email to: valerie@paralegalconsult.com.